With the dawning of the age of the internet, wedding invitations have become as unique as the couple planning their big event. 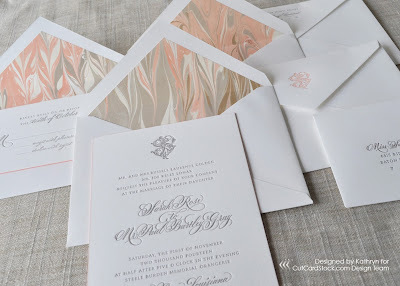 Trendy invitations boast interesting designs, colors, motifs and printing combinations. 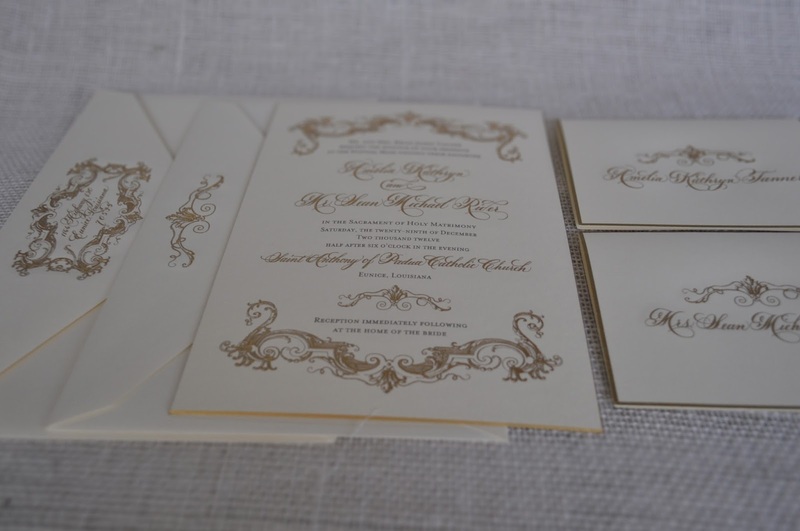 As a wedding invitation designer, I have enjoyed working with my clients in creating invitations that match their individual style. 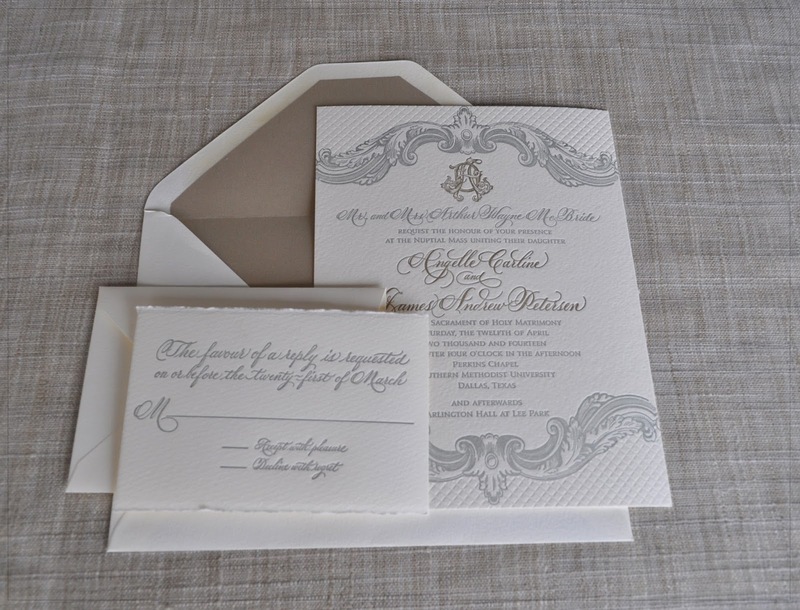 In doing so, I always follow standard etiquette rules for the wording and always use a good quality paper and envelopes such as 100% cotton papers. 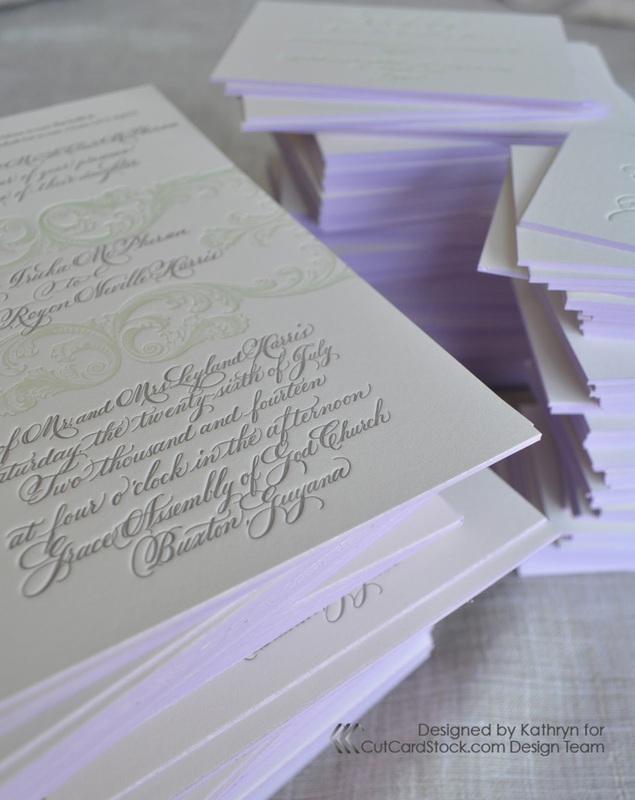 Cut Card Stock has such papers and envelopes available - be sure to visit their site! Choose paper based on printing method desired. 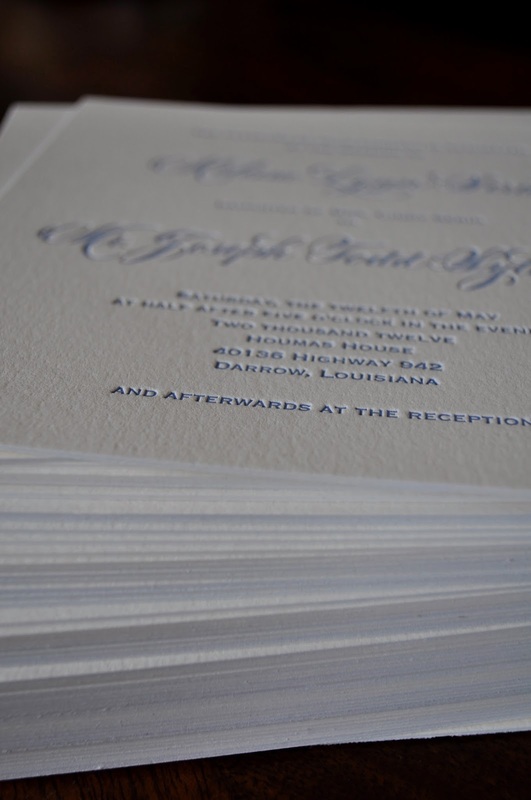 If invitations will be letterpressed, use a thicker paper to show the depression of the design and wording. Two of my favorite papers are 236 lb Crane Lettra and Savoy from Cut Card Stock. 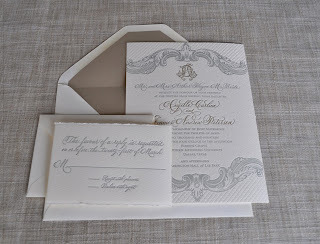 Invitation paper can be cut to any size; however envelopes are only available in specific sizes. If double envelops are desired, select a paper which comes with matching double envelopes. 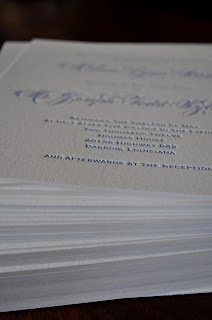 Oversized invitations (regardless of weight) require extra postage! 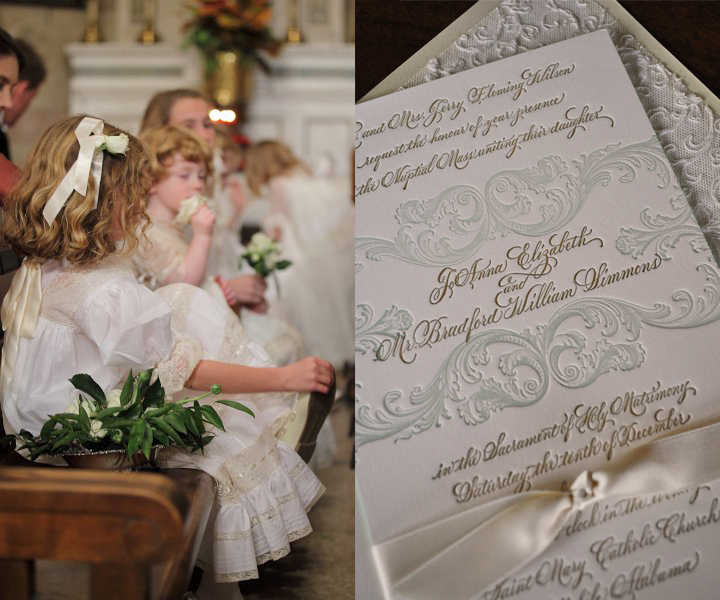 Follow proper etiquette rules when composing a traditional invitation. use full names -- no abbreviations! if divorced parents are issuing invitation, the mother's name is listed on the top line and the father's on the second line. The word "and" is not used in between the two lines as this denotes a marital union. "request the honour of your presence" is used for church weddings. For non-church, but otherwise formal wedding, the spelling "honor" can be used. Use the phrase "request the pleasure of your company" for other venus. the bride doesn't use a title before her name, and her last name isn't included if parents are issuing the invitation (unless it is different from the parents' last name). the groom may or may not use a title. "son of Mr. and Mrs...." is used if the groom's parents are helping to pay for the wedding. "and" is generally not used in the year line, as it is reserved for adding numbers. 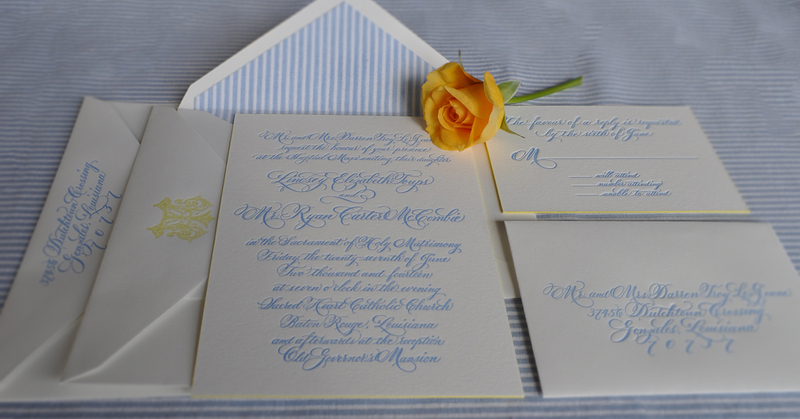 be sure to use proper capitalization according to invitation etiquette. "adult reception" and "black tie optional" are not considered proper etiquette; however these phrases are becoming commonly used and acceptable. don't assume because someone else has worded an invitation a certain way it is correct! 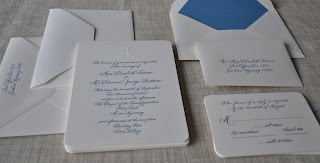 if in doubt, look it up from a reputable source or ask a professional stationer. 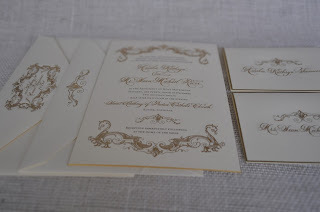 Below are a few invitations I've created over the years. I hope you enjoy viewing them.